Nice fast car, handles well,looks good. Only seats two,has no radio.very loud exhaust but only when stepping on it hard. Has a 4.6 liter 32 valve mustang cobra engine,awesome power. 5 speed transmission and 8.8 rear end with 3.08 gears. 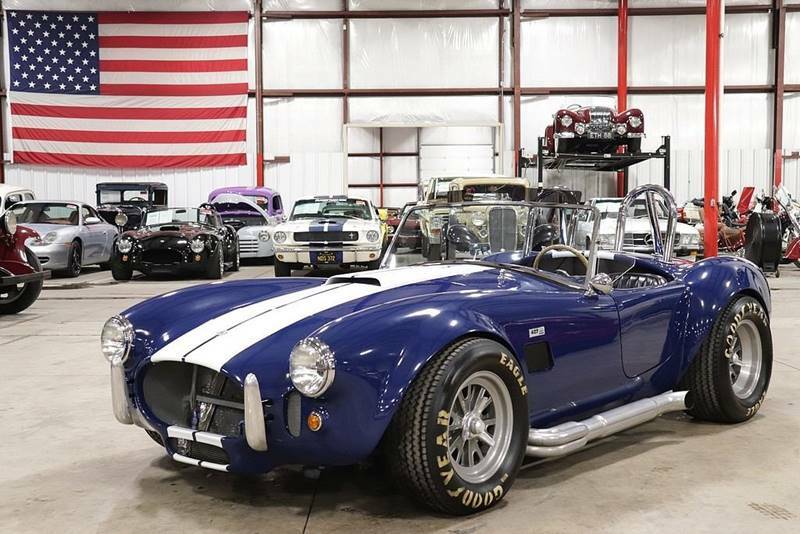 Sorry, we couldn't find any 1965 Shelby Cobra listings that matched your search criteria. Avg. Dealer Rating: (13 reviews) "This Classic car Dealership is very professional, kind, courteous. They know their autos and are very helpful. " Avg. Dealer Rating: (54 reviews) "Immediate response and very nice conversations. Didn't make a deal but still a good experience. " Avg. Dealer Rating: (54 reviews) "Sales staff offered to help however I had changed my mind about buying overly expensive older trucks." Avg. Dealer Rating: (36 reviews) "Helpful"